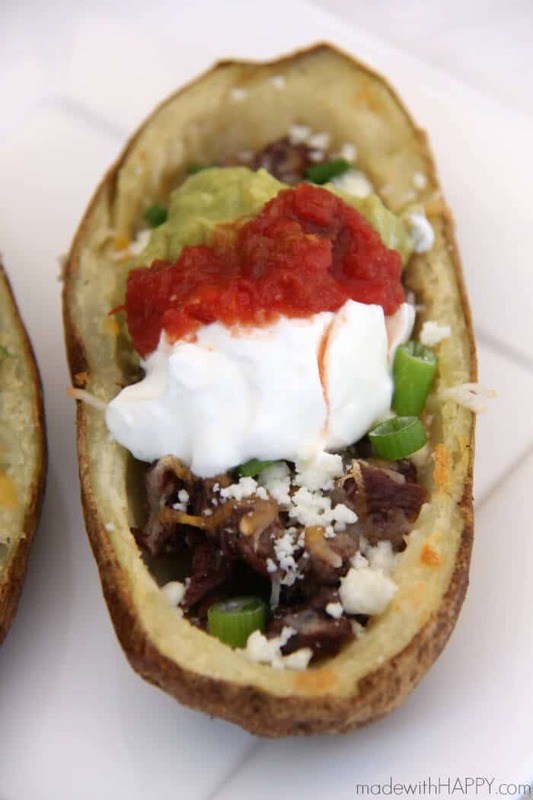 Carne Asada Fries – I mean Potato Skins! You guys!!! Why is it that I just thought of this??? 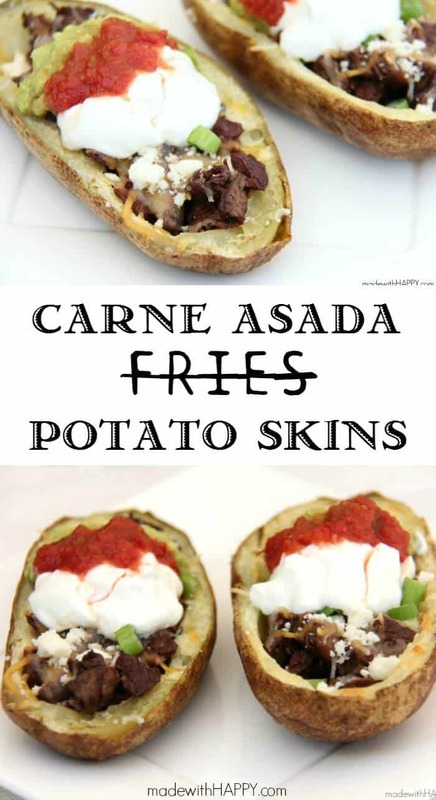 First off… for those that are wondering “What are these Carne Asada Fries you speak of?” You need to STOP RIGHT NOW! 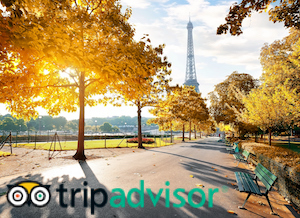 You need to get on the google and type in your closest airport code and book a flight to SAN (San Diego) right this instant. They are only arguably the best food invention to come out of San Diego! 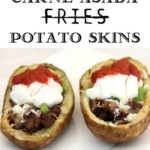 They are french fries covered in Carne Asada meat and the fixins and they are the bomb! I must have been dreaming about them, but those that know us, know that we have a special love for bite site food. 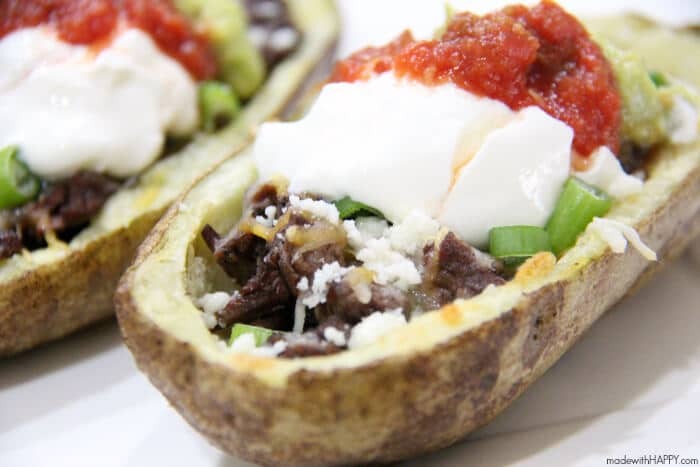 Appetizers, Hors d’oeuvre, Tapas are one of our specialties and so when we think of this amazing dish that really no one person should eat by themselves, we thought… wait a minute… Carne Asada Loaded Potatoes is going to get you there and its in its own container! BOOM! 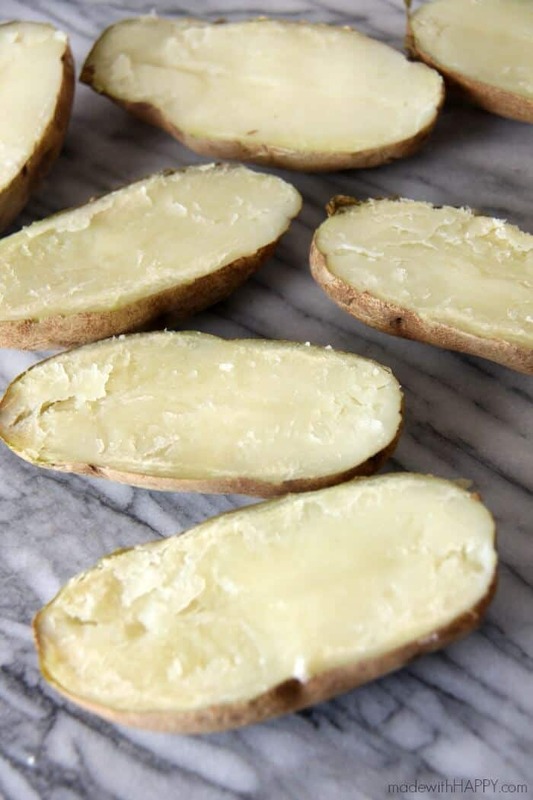 Pierce each potato with a fork about 4-5 times and then place into the oven for 40-50 minutes until the skins start to become crispy. 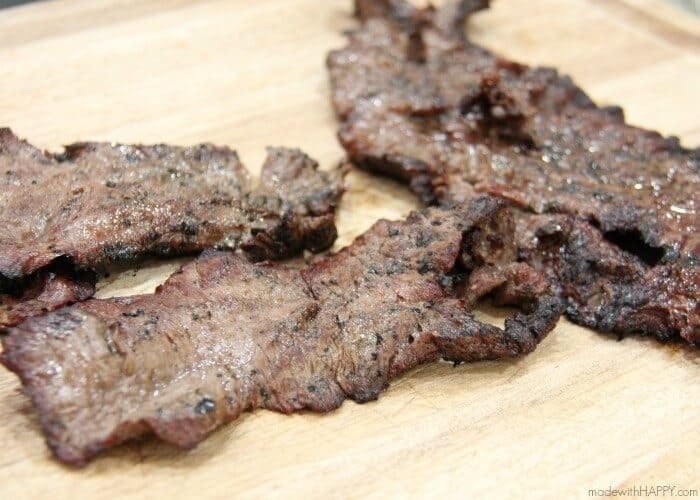 Remove from grill and cut into bite size pieces. 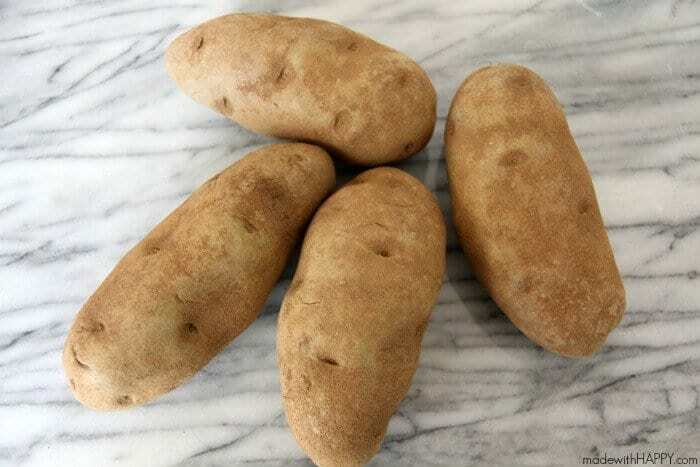 Once your potatoes are finished cooking remove from heat and let cool until able to handle. Cut each potato down the middle long wise. 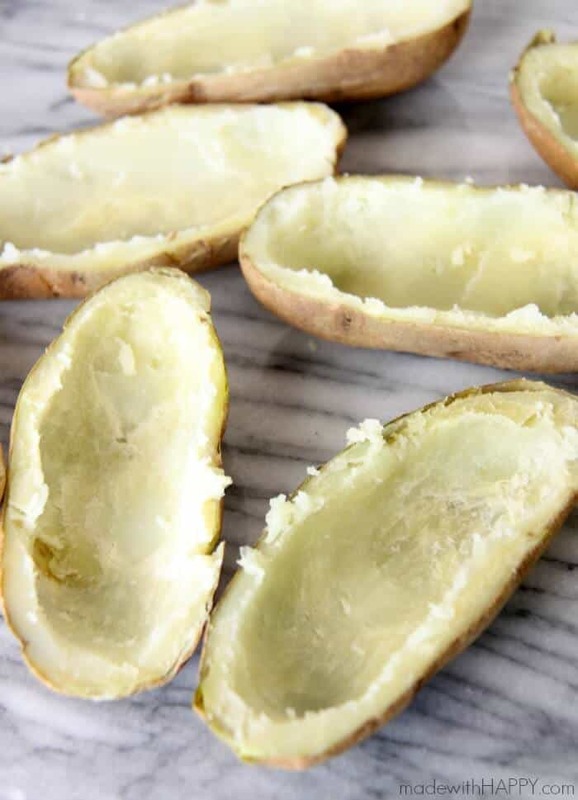 Using a spoon or melon baller, scoop out the inside of the potato till there is a quarter inch left of potato till the flesh. 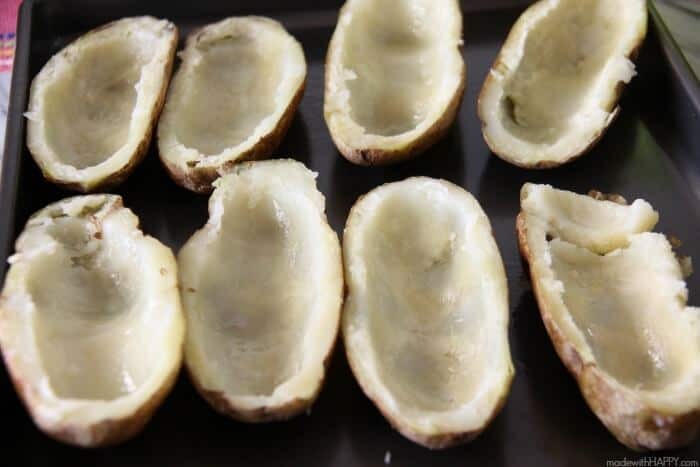 Rub the inside of the potatoes with the olive oil and sprinkle the salt over each of the eight potato halves. Place back into the oven on a cookie sheet for approximately 10 minutes allowing for the inside of the potato skin to crispy up and golden. 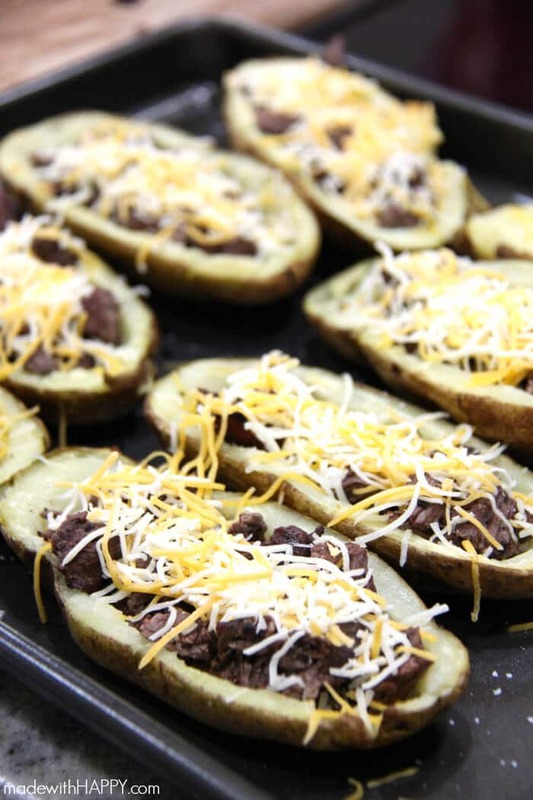 Remove from oven and divide the chopped up carne asada among the skins and top with shredded cheese. Place under the broiler till melted and golden for 4-5 more minutes until heated through. 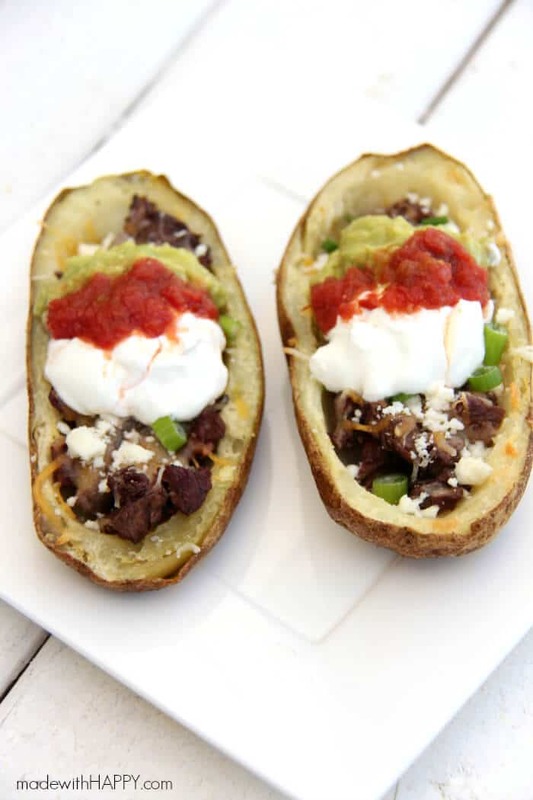 Top each skin with a sprinkle of the cotija cheese, a dollop of sour cream, salsa and guacamole and green onion. 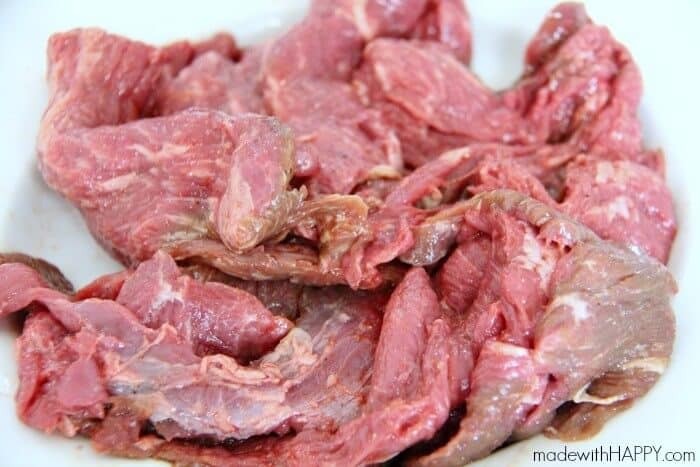 Grill Carne Asada Meat on medium to high heat for approximately 5 minutes each side depending on the thickness of the meat. Top each skin with a sprinkle of the cotija cheese, a dollup of sour cream, salsa and guacamole and green onion. We hope you enjoy these as much as we do!!! Awesome! Yes, why didn’t I think of that before? Huge upgrade on the standard version. I might even try it with chorizo(wait, maybe too radical). Definitely on the menu for next party. Thanks, Alli! These are so cool!! I love the idea – a fun twist on tacos! I can’t get to San Diego right away, but I’m so going to try this for date night soon! I could almost taste those flavors already. Thanks for sharing on Weekend Bites! You will soon find out what all San Diegans are eating 🙂 Thank you! Um YUM!! I’ve been craving potato skins for the longest time and now you just got me needing them in my life right this second! Thank you so much for sharing this with us at Throwback Thursday, we hope to see you again next week! I forget about them too and they are just so easy to make! Thanks so much! Thanks so much! They really are so good! You have a great weekend too!! What a great idea and I’d rather have the skins than the fries, which often get soggy under fillings! Love this! Thanks for sharing on our Throwback Thursday link party last week and I can’t wait to see what you have for us this Thursday! 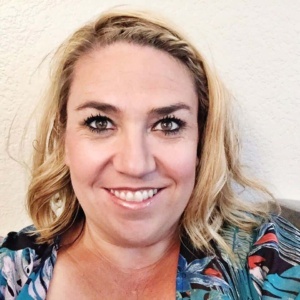 Hey just stopping by to let you know that this amazing post was picked as one of the highlights on the #HomeMattersParty linky. Made these for a football party and they were a hit. The only item that was not leftover. So good!!! I’m so glad you and your party friends liked them! !